Arsenal got a wondrous win at Fulham, scoring five goals to Fulham's one at Craven Cottage. So what can we learn from this result? Arsenal dominated this game for the most part, with Lacazette and Aubameyang getting braces apiece. Aaron Ramsey scored a wonder goal, despite the club rescinding a contract agreement with him. Arsenal went into this game with wins for Spurs and Manchester United on Saturday, and with Liverpool, Chelsea, and Manchester City playing later on Sunday. United and Arsenal old boy Sanchez won at the death vs. Newcastle on Saturday evening. So Arsenal had to capitalise, to at least gain more of a foothold for the top four places. Liverpool and City both couldn't get full points, and it was opportune to take advantage of the game between them happening later on Sunday. There was a good result vs. Qarabag in Azerbaijan in the Europa League, and they had been on a run for several games before this. The Arsenal fans at the game were signing "We've got our Arsenal back!" Whether this is true or not is moot. Though the team did show much ruthlessness, and a ruggedness to surpass Fulham's initial pressing style. Can Arsenal get top four in this sense? Who knows? The scoreline meant Arsenal surpassed their good friends and neighbours Tottenham in the table, and if they can sustain this form, who knows? 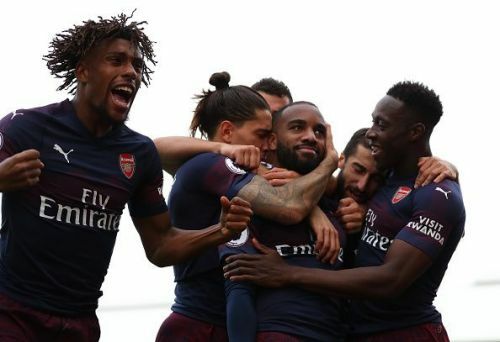 What is certain is that Arsenal is improving, and given Manchester United's issues, this could be a good chance to get into the top four this time around. Alex Iwobi's uncle is Jay-Jay Okocha, and he certainly drew on his uncle's graceful technique since he was very influential in this game. His forward running and dribbling caused numerous issues for Fulham, and he contributed to create several chances for Lacazette. He's been maligned of late, especially from last season, but this season he has progressed a lot. Is he getting new direction from Emery, compared to Wenger? Is he also developing more traits from Emery, or is the new environment and training environment getting him charged? It could be either, or a combination of them, who knows? 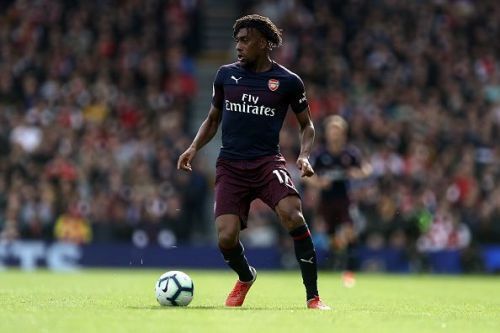 What's certain is that Iwobi is proving this talent, which many knew was always apparent. If he can sustain this, then it can be a boon for the club. He can be as much a Super Eagles legend as his esteemed uncle, at this rate.